The Flight of the Plastic Bag – Neptune 911! As I chased down the plastic bag that whipped out from my car on a windy day, I knew it was time to begin posting the Flight of the Plastic Bag. Driving north out of Espanola, NM, one could harvest enough plastic bags caught on the wild cholla along the highway, to build another casino along the roadside. The Rio Grande parallels the highway. I lived along the Embudo River that drains into the Rio. While the spring runoff and the summer rain swells through the Embudo are a sight, it is also a sight of discarded plastic and lost plastic bags working their way to the Rio Grande, to the Gulf of Mexico and to the the British Isles. I did not catch that rogue plastic sack. I fear that it now fills the belly of a whale. It looks like the kind of rubbish that piles up on waste ground or adorns hedgerows. 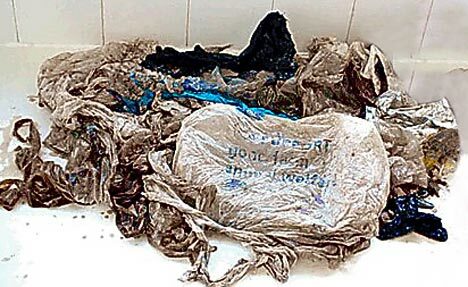 But this collection of plastic bags was found in a far more disturbing place – the stomach of a minke whale washed up from the English Channel. The young female suffered an appalling death, starved, exhausted and in agonising pain. The discovery in 2002 was a wake-up call for marine scientists, who realised that plastic bags and other waste were one of the biggest threats to the whales, dolphins and turtles swimming around our shores. The minke was found on the Normandy coast. At first, it was assumed she had died of natural causes. When her stomach was cut open, scientists were amazed to find nearly two pounds of plastic bags, eaten by mistake as she searched for food. The 2lb haul included two plastic bags from English supermarkets, seven transparent plastic bags, and fragments from seven dustbin bags. Most worrying of all, there was no proper food in her stomach. Minkes are among the smallest of the whales and the fastest moving. They can be seen swimming off the coasts of Scotland, Ireland and the South West. The females are around 24ft long and weigh between five and ten tons. They can live for up to 60 years. Although minkes are not threatened with immediate extinction, whale campaigners are concerned about their numbers. There are thought to be fewer than 184,000 left in the Atlantic. Until the 1980s their biggest danger was hunters from Japan, Norway and Iceland. 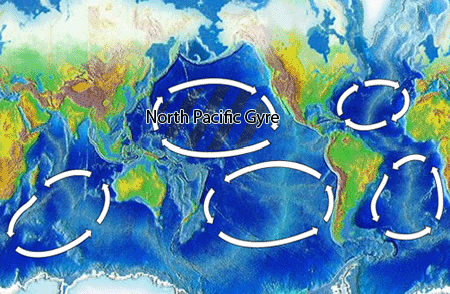 But another major threat has emerged in the plastic debris and rubbish in the seas. Minkes feed by sieving huge amounts of water through plates in their mouths. The technique is supposed to catch small fish. But as the seas get more polluted, the whales are also swallowing more rubbish. The plastic can block their digestive tracts, causing serious internal damage. If the creatures consume enough bags, their stomachs become full, they stop eating and they starve. A spokesman for the Marine Conservation Society said the Normandy minke had shocked the scientific world.